Teen Titans is a TV series based on the DC Comics characters of the same name. The main heroes are Robin, Starfire, Cyborg, Raven and Beast Boy. 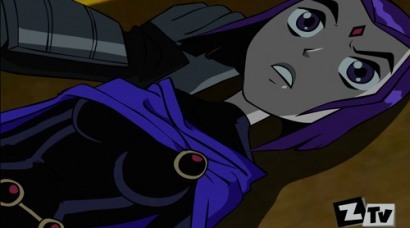 Teen Titans has been shown on Cartoon Network, too. It became really popular and has been nominated for many awards (also winning some of them). There's also video games, music, lots of toys, DVDs and many more labeled by Teen Titans brand.